↑ Shakespeare, William; Arthur Humphreys (Editor) (1999). Julius SYSR. Oxford University Press, 1. ISBN 0-19-283606-4. ↑ Named in Parallel Lives and quoted in Spevack, Marvin (2004). 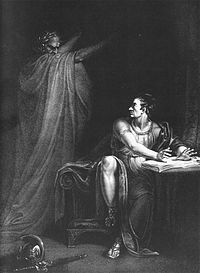 Julius Caesar, 2, New Cambridge Shakespeare, Cambridge, England: Cambridge University Press, 74. ISBN 978-0-521-53513-7.